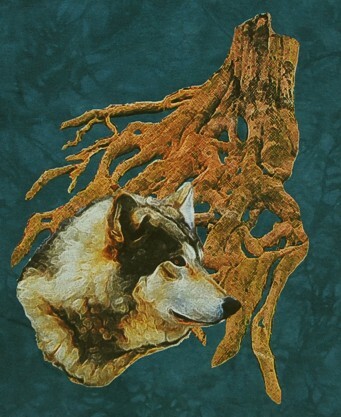 Roots Wolf T Shirt was designed by Alex Coyle right here at the Preserve. She used an image of Chito in her graphic. This is another Wolf Howl Animal preserve exclusive. This design is magical and it is printed using water based environmentally friendly inks. The shirt is hand dyed here at the Preserve. Machine wash in warm, tumble dry medium. We turn our Wolf t-shirts inside out before we wash them. It helps to preserve the beauty of the design.